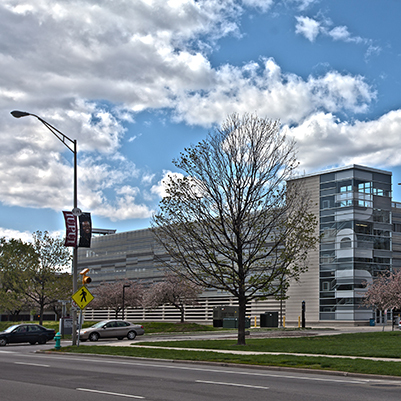 A five-level parking structure was constructed at the southwest corner of the two blocks bound by Blackford, Michigan, California, and Indiana Streets on the IUPUI campus. North Street, which bisects this site, was closed permanently to traffic between Blackford and California Streets. The garage would provides approximately 1,300 parking spaces.